Micah Morris began working at Morris Insurance & Financial after graduation from Bridgewater College in 2004 with a degree in Communication Studies with a Public Relations concentration. Currently, Micah is the Agency Manager and Head of Human Resources. 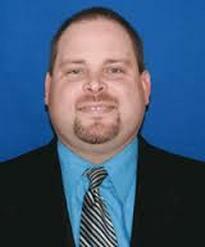 In addition, Micah also handles personal and commercial insurance within the agency. The most important thing for Micah when it comes to insurance is being able to be there for clients in a time of extreme need or loss. A sports nut, Micah is a former radio sports talk show host and sports broadcaster for local high school and Bridgewater College sports. He is the Founder and Owner of Morris Broadcasting, LLC and is currently the Owner and Lead Broadcaster for the Gobblers Sports Network. Micah is an avid University of Virginia fan and loves college and NFL Football, college basketball and Major League Baseball. In his spare time, Micah enjoys traveling and spending times with his wife and kids and dreams of being a beach bum.